FXhome has released HitFilm Pro 2017, the next version of its editing, compositing, VFX and grading app. The update adds a number of features that, for many professional CG artists, were previously stumbling blocks to adopting HitFilm, including support for end-to-end 32-bit workflow and 8K resolution. There are also a range of new editing and colour grading tools that will be familiar to users of other software, a proper audio mixer, an improved RAM preview, and an export queue. BorisFX’s 3D titling plugin Boris Title Studio is now bundled with the software, and Ignite Pro, FXhome’s own collection of plugins, has been updated, along with HitFilm’s version of the mocha planar tracker. The release also marks a change of version numbering for the product: under the previous numbering scheme, it would have been HitFilm 5 Pro. For professional CG artists, one key change in HitFilm Pro 2017 will be support for end-to-end 32-bit workflow, including import and export of 32-bit floating-point OpenEXR files. The maximum resolution for projects has also been raised from 4K to 8K. In addition, there is updated support for GoPro CineForm 10-bit and 12-bit files on Windows, and ProRes 10-bit and 12-bit files on Mac. The update also adds new tools for working with 360-degree footage, including text with unwrapped spherical distortion, making it possible to create titles for 360-degree video. The existing Environment Map Transform – for repositioning wraparound footage – and Environment Map Viewer have also been renamed the 360° Video Transform and 360° Video Viewer. The editing toolset gets a number of features standard to other professional applications, including support for a second monitor, and new keyboard shortcuts. The update also adds a proper audio mixer with per-track and master track mixing, plus an auto-sync option to line up footage with audio from an external recorder. For colour grading, there is a new Scopes panel containg a set of controls that should be familiar to users of other applications, including a vectorscope, waveform views and histograms. It is also now possible to perform colour correction in YUY colour space. Changes to the 3D toolset include improved load times when importing files, plus support for the FBX file format, making it possible to import animation data. The software already supports standard 3D geometry formats, including Alembic, 3DS, LWO and OBJ. HitFilm Pro also now supports depth maps for use with particles and 3D models, and there are new depth map to matte and composite to depth map options. Other general workflow changes include an updated RAM preview that takes better advantage of available system RAM, plus better multi-threading for the user interface. The UI has also been further optimised for HiDPI displays. There is also now an export queue – previously a notable omission for users coming from other apps – enabling multiple exports to be processed simultaneously; and new export presets. 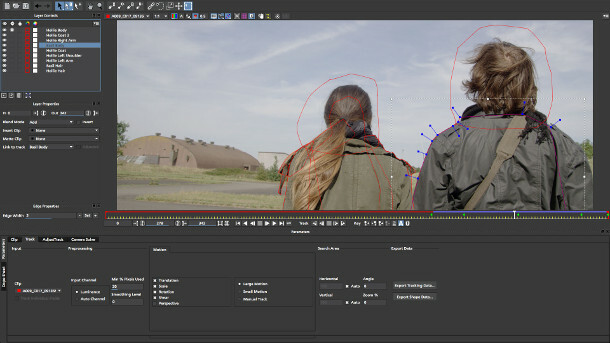 The version of the Imagineer Systems’ mocha planar tracker bundled with the software has also been integrated into the core software, making it possible to 2D track footage without leaving the HitFilm interface. In addition, mocha now supports all of the media types supported by HitFilm itself. Ignite Pro, FXhome’s collection of effects plugins for common editing and compositing software, bundled free with HitFilm Pro, also gets an update. As with the core software, it can now support 32-bit colour in “selected hosts”, and supports for project resolutions above 4K in After Effects and Premiere. Ignite Pro’s range of host software has also been expanded to support two new editing packages: Avid Media Composer and Magix’s Vegas Pro, previously Sony Vegas Pro. In addition, there are a range of new preset effects: Energy Distortion, Fluid Distortion, Smoke Distortion, Neon Path – which can be used for 1980s-style titles – and the self-explanatory Lightsword Ultra. 3D titling plugin Boris Title Studio, normally part of BorisFX’s Boris Continuum Complete suite of tools, now comes bundled with HitFilm Pro for free. HitFilm Pro 2017 is available now for Windows 7 and above and Mac OS X 10.10 and above. New licences cost $349, and can be used on three separate machines. Ignite Pro 2017 is compatible with 10 common editing and compositing applications, including After Effects and Nuke, running on Windows and Mac OS X. 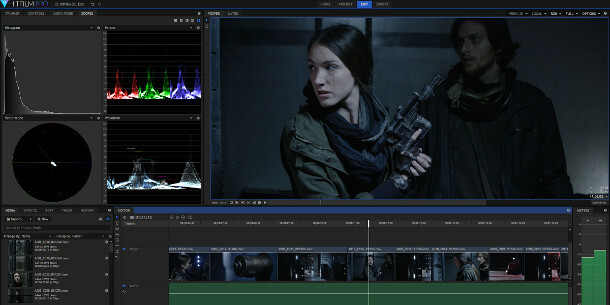 It comes free with HitFilm Pro; new licences cost $199. HitFilm Express, the free edition of HitFilm, is also still available, but hasn’t yet been updated from version 4. If FXhome follows its usual schedule, the 2017 release should follow in around six months.